Located along the coast of the Black Sea, one will find the resort known simply as Sunny Beach. This large resort town can be found only 35 kilometers north of Burgas and offers more than 200 hotels offering over 300,000 beds. There are more than 130 restaurants in Sunny Beach as well as a number of bars clubs and discos too. In the foothills of the Pirin Mountain range one will find the ski resort town of Bansko. While known today for the freshly powdered slopes above the city, the area dates back to the prehistoric days. Some of the oldest sites just outside of town have been dated back to 100 B.C. The rich history of the city and region is what makes visiting Bansko more enjoyable. The city of Varna is one of the largest cities situated along the Black Sea coastline today. It is also the third largest city in the country with a third of a million residents. The city of Varna is known as the summer capital of Bulgaria and today much of the city’s industry is tourism related. There are many things to see and do in and around Varna all day and night long. The seaside resort village of Golden Sands can be found along the Black Sea coastline. 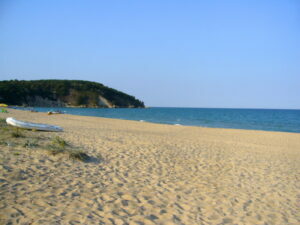 It is very near the national park which shares its name and is only 17 kilometers away from Varna. It is one of the more popular tourist destination hot spots in the area; attracting thousands of visitors every year from all over Europe. Just south of Burgas along the Black Sea coastline, you will find the ancient city of Sozopol which is known today for the many resorts situated nearby as well as the annual Apollonia art and film festival. The festival occurs annually in the early part of September. Countless visitors from all over Europe make their way to Sozopol every single year. In the northern part of Bulgaria straddling atop three hills which are situated along the banks of the Yantra River, you will find the city of Veliko Tarnovo. Also known as the City of Tsars, Veliko Tarnovo is home to a number of palaces which have belonged to the Tsars of the past. Today the city is a popular tourist destination. The second largest city in Bulgaria is none other than that of the city of seven hills; Plovdiv. There are a third of a million residents who call this city home. The area has been inhabited since prehistoric times with a number of settlements dating back to 4000 B.C. having been unearthed just outside of town. The town of Nesebar is a popular tourist destination and home to a number of large and famous seaside resorts. Situated along the coastline of the Black Sea, Nesebar is commonly referred to as the pearl of the Clack Sea because it is home to one of the finest beaches in the region. Located in the Sofia Province, and situated along the northernmost slopes of Mount Rila, you will find the popular winter resort town of Borovets. While originally the area was established as a royal hunting ground, today it is home to a number of hotels, restaurants, bars and clubs. It has also played host to the World Cup Alpine Skiing on a number of occasions. The city of Pamporovo is located in the southernmost portion of Bulgaria and is situated in the Rhodope Mountains. Pamporovo is a popular ski resort town and has many fine hotels and resorts. It is also a popular summer destination as well as a number of eco-tourists make their way to the city every single year. The city of Balchik is situated along the coast of the Black Sea and is a well-known resort town. The town is only 42 kilometers from Varna and every year thousands of visitors from all over Europe make their way to Balchik to rest and relax under the sun. The city is also well known as the home of many fine Bulgarian painters. When it comes to a vacation along the coast of the Black Sea, many people make their way to Primorsko every single year. This popular resort town is only 52 kilometers from Burgas and features one of the finest stretches of beach in the area. Many artifacts have been unearthed around the town in recent years which date back to the Bronze Age. The second largest city in Bulgaria is none other than that of Burgas. With just over two hundred thousand residents, Burgas has grown to become a popuar tourism hot spot in the country. The city is surrounded by a number of lakes and even has a stretch of beach along the Black Sea. The city’s port is considered to be the largest in the country. The town of Kiten has quickly grown to become a very popular resort town located along the Black Sea. 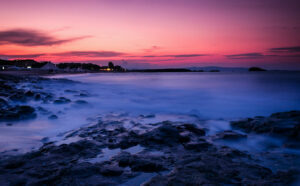 It is located at the mouth of Kiten River and as result, has two wonderful beaches; one on either side of the river. Visitors from all over northern Europe make their way to Kiten every single year. The town of Sandanski is known as a popular destination in Bulgaria The town itself is situated in the foothills of Pirin Mountain, along the banks of the Sandanska Bistritsa River in the south-western part of the country. The town is well known for its natural mineral water springs which can be found throughout the surrounding area. In the southeastern part of Bulgaria, along the coast of the Black Sea, you will find the resort town of Tsarevo in a cove on 70 kilometers away from Burgas. It is situated in the foothills of the Strandzha Mountain and has quickly grown in popularity over the years for its rich diversity of amenities and sports. The city of Ruse is the fifth largest city in the country. It is situated along the banks of the Danube River in the northeastern part of Bulgaria. Directly across the river on the opposing banks is Giurgiu, Romania. While being 200 kilometers away from the coastlines of the Black Sea, Ruse is still none the less a popular tourist destination as a result of its rich cultural history. In southern Bulgaria, along the coastline of the Black Sea, you will find the resort town of Lozenets. While only having a population of less than 1,000 residents, Lozenets has none the less grown in popularity over the years as a number of visitors from all over the continent make their way to the shores of Lozenets every year. The city of Blagoevgrad is known as the cultural as well as economical center of the southwestern part of the country. It is situated along the banks of the Blagoevgradska Bistritsa River, in the foothills of the Pirin and Rila Moutains. It is near the Greek, Macedonian and Serbian borders. It is also home to the popular Bodrost Resort.